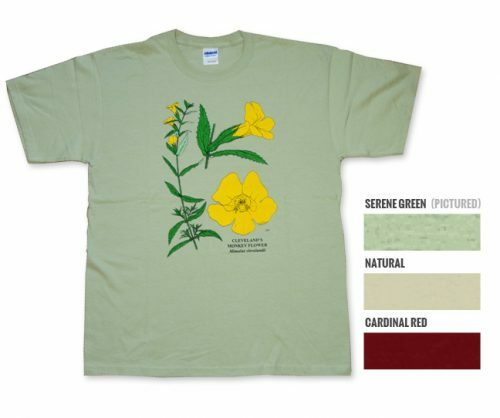 A beautiful, if not somewhat unusual set of California wildflowers, this shirt boast six of California’s threadplants, Capillary Threadplant (Nemacladus rubescens), Eastern Glandular Threadplant (N. orientalis), Small-flowered Threadplant (N. sigmoides), Desert Threadplant (N. tenuis), Long-flowered Threadplant (N. longiflorus), and Glandular Threadplant (N. glanduliferus). The cool thing about these flowers, they are all quite tiny but strikingly different. 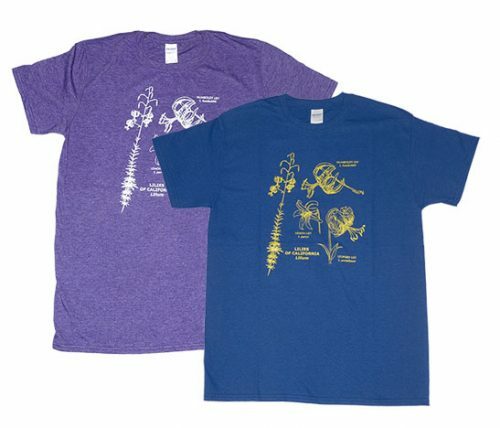 Available in Natural, Antique Cherry, and Galapagos Blue. 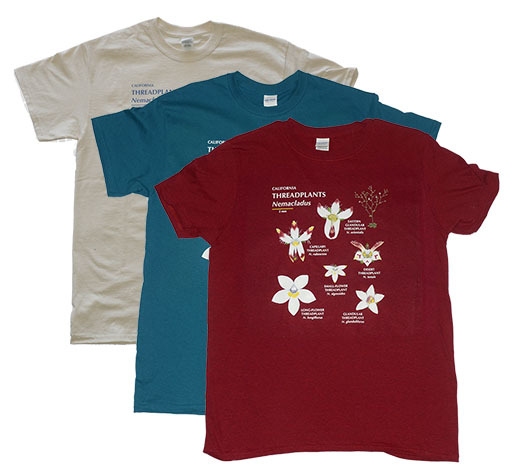 All shirts are Gildan pre-shrunk 100% cotton, except Antique Cherry with 10% polyester.